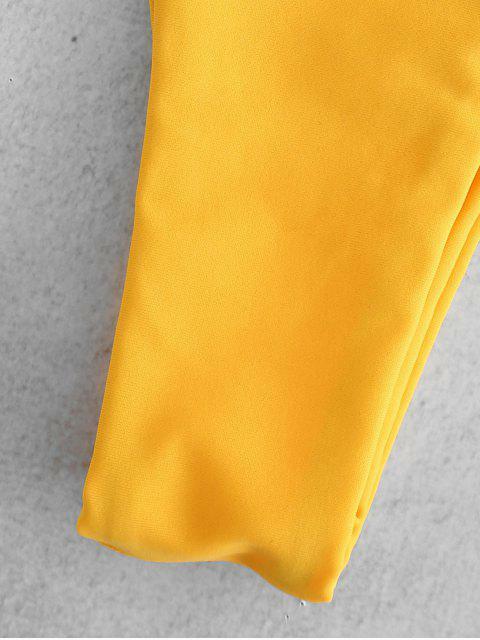 [45% OFF] 2019 Color Block Scoop High Leg Bikini In YELLOW | ZAFUL .. This is a lovely colorblock bikini set that is created from a soft and comfortable fabric. The color blocks divide the top in half, visually, with white half and colored half. The colored briefs are trimmed with white sides for visual effect. The top in a sports bra style with padded cups to have you move freely, and the briefs in a cheeky style perfectly show your long legs.